LubD Makati opens Essential Goodness, For The Pilgrims. Introducing the most exciting new rooftop bar & restaurant to Poblacion, Makati. LubD, South East Asia's leading travel experience hotel & hostel brand recently opened its 5th property in Makati, Philippines, last January 2018, further enhancing their global award-winning portfolio of properties in Thailand and Cambodia. 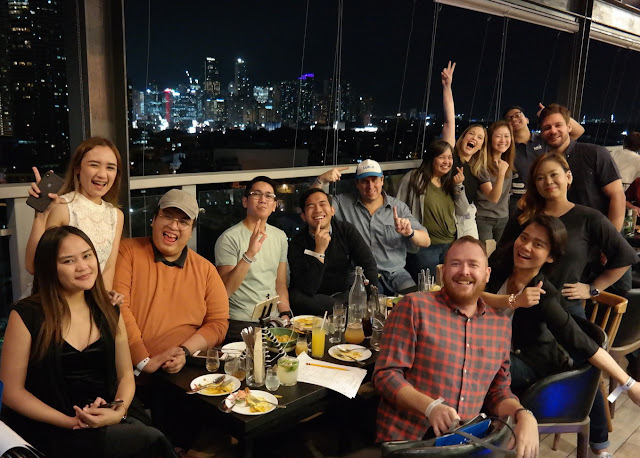 The hotel has opened its rooftop restaurant & bar, Essential Goodness For The Pilgrims on the rooftop of LubD Makati, Makati Ave. Makati City. 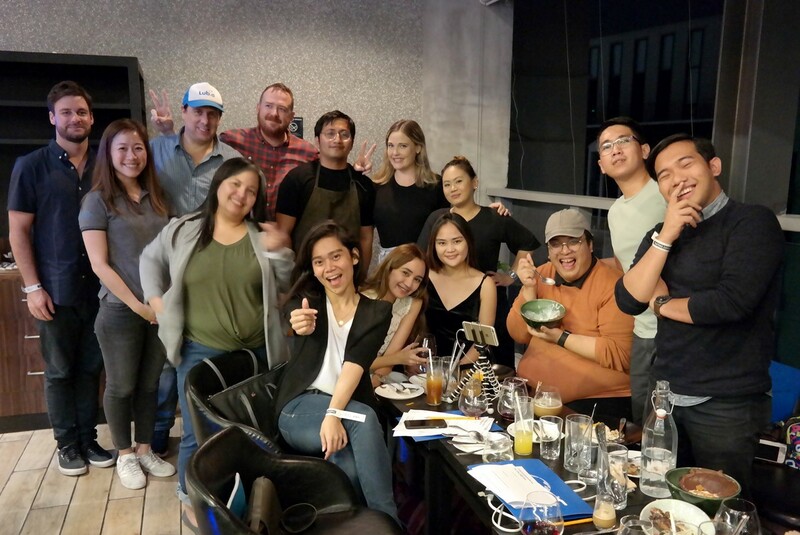 Essential Goodness For The Pilgrims is a consultative collaboration with talented local chefs Nicco Santos and Quenee Villar of the renowned Hey Handsome & Your Local restaurants. 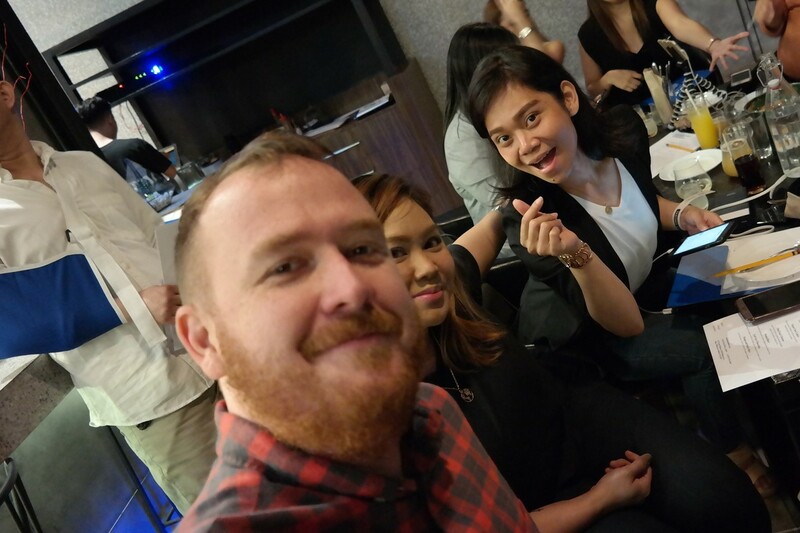 One of Philippines' most renowned chefs, Chef Nicco, shared his own taste and business acumen not only to the locals but also to the expats and travelers alike. Guests will be able to enjoy the inspirational menu with the restaurant's Head Chef, Chef Mark Sanchez, previously Head Chef at the award winning Your Local & Hey Handsome. Together they apply their creative mastery by developing for the opening an All Day Brunch Menu inspired by traditional hearty breakfasts, a mix of Southeast Asian culinary delights and some authentic Filipino & Asian fusion dishes and comfort food. Essential Goodness For The Pilgrims (EGP) builds on familiar Filipino offerings and International Cuisine all with a fresh approach to the dishes elevating them to something extraordinary. Essential goodness is the destination to eat out, with an incredible All Day Brunch menu, and an additional expanded evening menu to be launched this February. The restaurant is complemented with a great Rooftop Bar with spectacular views, great music, and where the mixologist team is on hand to prepare and create your favorite libations. Last week, I, together with a few good friends of mine were treated to a very lovely evening at EGP for an exclusive tasting of the new additions to their revamped menu. 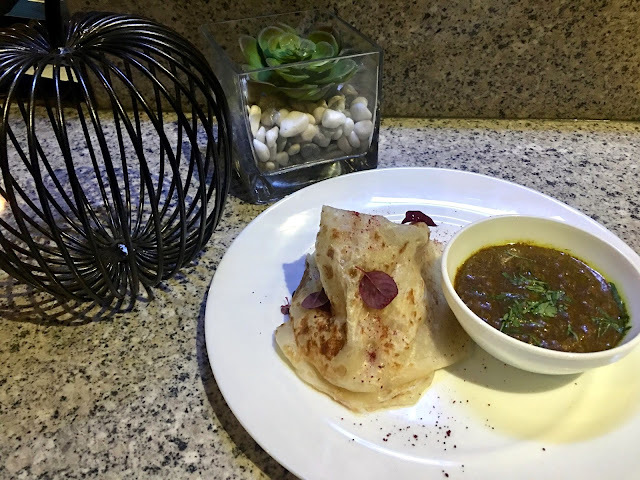 Below are the dishes that we got to try together with the management of the LubD Group of Hostels as they too tried the dishes for the first time. Tofu Salad - kinu tofu, spinach, cilantro, basil and lime. I love tofu! I’ve never met a tofu that I didn’t like, (well except for Taiwan’s Stinky Tofu, that I just can’t really come to terms with) especially the Chinese and Japanese versions. This salad contains a flavored and very silky Japanese tofu with greens and onions. I love the play of smooth and textured combo in every bite. I just think it has too much of the wansoy or the Asian version of Cilantro. Its flavor kind of overpowers everything. I would prefer if there’s more mint leaves in there than the wansoy. But over all this is a good a healthy salad perfect for those trying to eat healthy and who are vegans. Salmon Ceviche - salmon, green papaya, tomatoes, coconut cream, green chili. red eye chili and cilantro. Ooohhhh salmon, who can say no to salmon? If you don’t like salmon especially if it’s raw, then we can never be friends, just kidding hahaha! This was great and has a very light tangy flavor compared to the local counterpart kilawin probably because it uses citrus and not vinegar to somehow cook the fish meat. I still like it though. Crab Curry - crab meat curry, roti and cilantro. I wasn’t able to try this one because I was fabulously late, well blame it on the rush hour Makati traffic, but my friends say it’s really good. Fried Chicken Poppers - thigh fillet, sambal and cream cheese. This is one of the favorites that night and everyone agreed that this would be a really good pair with some alcoholic drinks. It had the right amount of spiciness (that I can tolerate) and the chicken was tender and well-flavored; plus, it has cheese too! Vegan Curry Laksa - bean sprouts, shiitake mushrooms, zucchini, banana hearts and rice noodles. I’m used to laksas with a punchy and spicy coconut curry soup but somehow, this lacked the richness of the ones I’ve tried before. I don’t know if this is a little mild because it’s vegan or what. Either way, the thick rice noodles were perfectly good and it’s a great tummy warmer for cold weather. Thai Fried Chicken - cured fried chicken, pickled red bell pepper, green chili, sambal and herbed rice. The chicken flavor-packed with tender meat and crispy skin. Thanks for having it sous vide for hours. I love how it was plated and the sambal eggplant salad was really savory. Though the rice was a little bit of a letdown. I don’t know if the type of rice that they used cooks like that or it was just over-cooked because the outer part of the rice grain was super soft but the center part was still hard and raw. But overall this is a great complete dish. Braised Beef - raised Beef local beef, guava sauce, green papaya salad and herbed rice. I didn’t know that guava works so well with beef, until that moment. You can taste the subtle flavor of the ripe guava infused into the tender beef spare ribs meat. Every one of us agreed that this was really good and if you love ribs you gotta try this! Mango Sticky Rice - slices of local mangoes, coconut sticky rice and peanut caramel. This is one of my favorite Thai food, like seriously, as serious as getting teary-eyed the first time I tried the legit ones in Bangkok. I love Essential Goodness For The Pilgrims’ take on it – the mango is sweet, the sticky rice is cooked well, the peanut caramel gave it additional texture. I wish they would put more coconut cream or milk onto it though. Or having it as an option; that would be lovely and I wouldn’t mind paying additional. Earl Grey Chocolate - earl grey chocolate, vanilla ice cream, yuzu syrup and brown butter crumbs. I love mango sticky rice, but this time around, I prefer this Earl Grey Chocolate dessert more than the former. I love the bold taste of the Earl Grey tea fused with the chocolate. It reminds me of milk tea a lot, which is a no-brainer pick-me-upper of mine. The chocolate part mixed with the ice cream is such a delight. There were also suggested drink pairings that we tried with every dish that was served to us. My favorite were the Local Hong and Guyabano Black Tea. I actually loved the Guyabano Black Tea and super surprised that a bold and full-flavored tea would go so well with soursop/guyabano. And the Local Hong had so much fanfare with a twig being burned before you can drink it; plus the earl gray flavor was really notable. Definitely must trys! Unfortunately, I didn’t take notes which ones are for which, below are some of them. Caipirinha - cachaça (sugarcane hard liquor), lime wedge and sugar cubes. Guyabano Black Tea - whiskey, black tea, soursop lime. Tasting notes include hint of tea and fruit flavor. 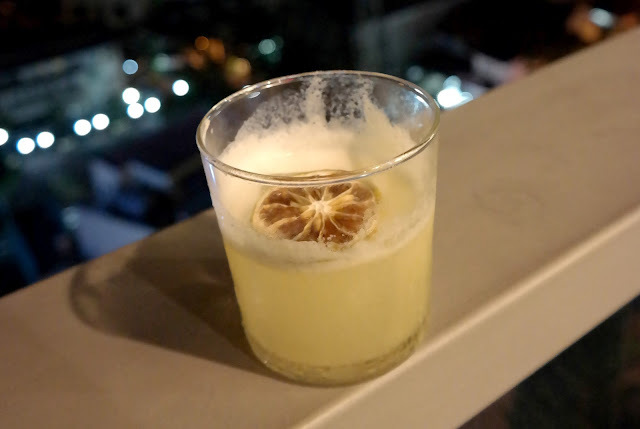 Wasabi - whiskey, wasabi, lemon sour, simple syrup, angostura bitters. This has a tasting note of a kick of wasabi, spice and sour. I love the ambiance at Essential Goodness For The Pilgrims, it’s just so chill and you get to relax with good food and drinks in hand. The food and drinks are great and plated/presented very well. It’s like you’re dining in a pretty upscale place for the taste and quality of the food with a pretty hip atmosphere thrown in there too. Since it is located on the 13th floor of LubD Hostel, chilling out here anytime of the day will give you a great view of the Makati skyline and laidback music. Y’all know how much I love roof deck bars, like super, right? It’s perfect for a date and night out with friends. Also since there are a few places around the metro where you can get healthy or vegan food, you might want to consider what they have to offer too. Food is a basic need for all as it fuels us and gives us the nourishment that we need on our day to day lives. Put it simply. it is essential. Food can also provide an ecstatic experience to a person. And at LubD, food is important and definitely they promise to only serve dishes that would offer goodness to your satisfaction. They will surely bring you a culinary journey unlike any other as Essential Goodness For The Pilgrims serve you their latest menu offerings.